A lifetime of studying piano has taught me a lot more than just music. In some very meaningful ways, piano lessons have shaped the way I approach and handle life. 1. Practice Makes Perfect—Piano takes practice. Life takes practice. Anything worthwhile takes practice. You’ll never succeed if you don’t put in the effort. 2. PERFECT Practice Makes Perfect—Practicing an instrument is only beneficial if it’s done correctly. Practicing something incorrectly not only wastes time, but it can also build bad habits that are hard to break. Do it properly from the beginning and you won’t have to re-learn it. If you’re a musician and you struggle with practice, here are some tips to improve your practicing. 3. Daily Effort Builds Good Habits—Piano practice is far more likely to happen if you make it a daily habit. Same goes for everything else. Set a regular time to practice, to exercise, to read, to clean the house. Make it a habit and it’ll become part of your daily life. 4. Bad Habits are Hard to Break—In piano, if you let yourself form bad habits, they’re much more difficult to fix than taking the time to build good habits in the first place. I think we all know just how difficult it is to break a bad habit in life. 5. Studying is Important—You’ll never learn a piece of music until you’ve really studied it. If you want to learn anything, you have to study it. Don’t just skim over it; go into depth and dissect the material until you know it inside and out. 6. Be Patient With Yourself—Good things come to those who wait, so give yourself a break! You’ll never get it right on the first try. You might not even get it right on the 100th try, or maybe not even the 1,000th try. Patience is a virtue, and it’s important to be patient with yourself. 7. It’s Okay to Make Mistakes—Everyone makes mistakes. Even if you can’t see the other person’s mistakes, they’re still making them. The sooner you accept that it’s okay to make mistakes, the happier you will be. 8. If You Make a Mistake, Keep On Going—If you’re performing and you make a mistake, you have to keep playing. Mistakes can be setbacks, but they should never be stumbling blocks. Don’t stop! Keep going! 9. 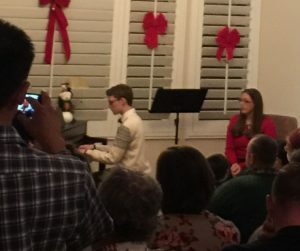 Be Adaptable—Nearly every time I performed in a piano competition, the first time I even touched the piano was when I was up there performing for the judges. Every piano is different, so I had to be able to adapt immediately. For instance, if the piano keys were more responsive than I was used to, my “soft” dynamic might sound too loud, and I’d have to immediately correct it for the next notes or adjust the volume of the entire piece so that it sounded intentional. This kind of quick adaptation is a valuable life skill. 10. You Can Learn More from Failure Than from Success—Failure is a great teacher. It teaches you to reevaluate your performance, determine how you can improve, and identify all areas over which you have control so that you can know what you can change. An important note is that sometimes failure is outside your control, in which case you have to learn the difficult lesson that sometimes you will fail even when you do your best. 11. Repetition Helps You Flourish—You will internalize something much better if you repeat it. Playing a passage 50 times correctly is far more likely to “stick” than playing it once, twice, or even 10 times correctly. Repetition is what helps you succeed as a musician, and it can help you become better at almost anything. 12. I Can Do Hard Things—Piano isn’t easy! At any given time, a pianist is reading notes on two different staves at the same time for two hands with multiple fingers. 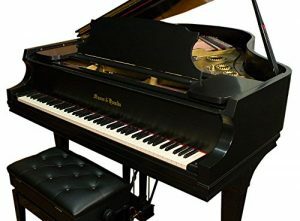 The pianist is also listening to how it sounds (vs how it SHOULD sound), using the foot pedal (sometimes two at once), and playing all correct keys in the correct combination with the correct rhythm, tempo, style, articulation, dynamic, and more. It’s an incredibly complex skill, enough to build anyone’s self-confidence. You can do hard things! 15. Never Give Up—Don’t give up, even when it’s hard. Just keep on trying. I promise it’s worth it! 16. Procrastination is Never Worth it—Truth be told, I’m still kind of learning this lesson. But putting off piano practice was NEVER worth it. No matter how good I was at sight reading (and I was really good), my piano teacher always knew when I hadn’t practiced. I was wasting my teacher’s time, I was wasting my time, and it just wasn’t worth the stress and struggle. 17. Always Do Your Best—Even if you don’t achieve your goal or get the award you wanted, if you do your best, that’s all you can ask for. If you put in a halfhearted effort, you’ll know you could have done better and may regret it. But if you do your best, there’s nothing to regret because you can’t do better than your best. 18. Sacrifice is a Necessary Part of Life—There’s never enough time to do all the things we want. Some things you have to sacrifice. Prioritize what matters most and sacrifice the other things. Your priorities may shift from time to time, but you’ll always have to sacrifice something. 19. How to Critique Yourself—At some point you have to stand on your own two feet. Teachers won’t always be around to grade you. If mom always lays out your clothes for you, you’ll never learn to figure out whether the outfit you’ve chosen for yourself actually looks good. At some point, you have to learn how to really look at yourself and your performance. If you learn how to critique yourself with constructive criticism, you can always improve. 20. Focus on the Task at Hand—A distracted effort is almost like making no effort at all. If you’re pausing between measures to check your phone or look out the window or think about something else, you won’t learn piano. Learning piano takes FOCUS. Being able to focus on the task at hand is an essential skill for everyone. 21. The Value of Time—Every second makes a difference. Try practicing without a metronome and then with one, and you’ll quickly see just how far you can stray from the tempo. You can lose seconds in the blink of an eye. Be smart with your time, and take advantage of every moment. 22. How to Discipline Yourself—Mom won’t always be there to make you sit at the piano with a practice timer going. And unless she is also a pianist, she probably can’t help you with your practice. You have to learn how to discipline yourself, to make yourself put in the time, to focus hard and critique your progress. Self-discipline helps you control your weaknesses and temptation. 23. Pay Attention to the Details—Learning the notes is just a small part of playing piano. If you miss the italic letter f telling you to play loudly, your exuberant march could sound like a peaceful lullaby. If you miss the staccatos, your lively piece could become a sleepy one. Take the classic theme of Beethoven’s 5th symphony and imagine those same notes played softly, smoothly, and slowly. It’s all in the details. 24. Set Realistic Goals—Don’t try to learn Clair de Lune or Für Elise in your first year of piano study. Don’t set yourself up for failure. 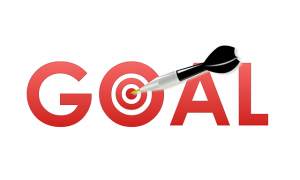 Set realistic goals and then work toward them one step at a time. 25. Be In the Moment—There’s nothing like the feeling of being in the moment, where you can ponder worry-free and just…be. When you’re sitting at the piano and just playing, just enjoying the music, everything else melts away. All that is left is you, your piano, and your music. And afterward, you will feel like a new person. 26. Don’t Settle for “Good Enough”—“Good enough” is just a cop-out. Don’t settle! Master it! 27. The Value of Exercise—Failing to do your piano finger exercises leaves them weak and soft. Failing to exercise your body leaves it weak and flabby. 28. Learn to Do It Right—Proper form on piano should always come first. If you’re playing it at the written tempo, but it’s sloppy and you’re making all these technical mistakes, you’re still doing it wrong. It’s better to play it correctly, but slowly, then gradually speed it up to the written tempo. Remember in the animated film Cars when [SPOILER] Lightning McQueen tries to rush through putting down the asphalt, only to find out he he now has to scrape it all up and start all over? 29. Slow Down—Rushing is bad. I rush all the time when I’m playing; it’s one of my weaknesses and I constantly have to remind myself to slow down. Maybe that’s also why I tend toward clumsiness. 30. Be Responsible—If you don’t do your homework, it’s not your mom’s fault because she didn’t remind you. Growing up, if I didn’t practice piano, I knew there would be consequences. You can’t cheat your way through it, so learn to take responsibility for your actions (or lack thereof). The bright side of this is that when you succeed, you can take the credit and pat yourself on the back. 31. Never Stop Learning—Always be a student. Even if you become an expert in your craft, never stop learning. There is always something new to be learned, and it will make you better. This also relates to the idea that it’s never too late to learn, as long as you’re willing to try. 32. Not Everyone Learns the Same Way, so Find What Works for You—There are a lot of tactics on piano that work for most, but everyone is unique. If you need to approach something from a different angle, do it. 33. Getting Good Takes TIME—It usually takes much longer than most people have patience for, which is why you probably don’t know many advanced pianists. Remember, Rome wasn’t built in a day. 34. The More You Do It, the Easier It Becomes—This applies to anything. Ever tried cooking? Try cooking the same recipe 50 times and then tell me it didn’t become at least a little easier by the 50th try. 35. How to Be In Front of People—Musicians constantly have opportunities to perform. Learning to perform and be in front of people is a critical life skill in today’s professional world. The more experience you have in performing, the easier it is to be in front of people. 36. A Good Skill Will Always Be There for You—Friends come and go, but a good skill will always be there for you because it is a part of you. If I’m having a bad day, I can always go to the piano and get the respite I need. 37. Mark Your Mistakes and Work Them Out—Don’t let your mistakes slide or pretend they didn’t happen. You will be better off marking them and working them out so they don’t happen again. 38. Take It One Step at a Time—Break down any difficult piece of music into smaller portions so you can tackle it little by little. Doing this makes it much more approachable, and you will actually learn it better and faster. In life, don’t bite off more than you can chew. Just take it day by day, and you’ll be “there” before you know it. 39. Look Ahead—Page turns, key changes, funky chords, all of these things can throw a pianist if you’re not looking ahead. If you don’t look ahead in life, unexpected twists and turns could mean you come crashing to a halt. 40. Keep Your Eye on the Big Picture—How does this 4-measure phrase fit into the song? How does this little piece fit into the big picture? With the overall story in mind, your music and your life will feel much more put together. 41. Learn to Listen—Your music will never really be music if you aren’t listening to it. Use your ears. Listen to others and to the world around you. You can learn more than you’d ever imagine from listening. 42. The Importance of Expressing Emotions—Music is incredibly emotional. You can express so much through music. Even if you aren’t a musician, find a way to express your emotions. You will feel more in tune with the people and the world around you. 43. Study It Out Before Jumping In—The first time you approach a piece, you should study it for a little bit to see what you’re getting into. What’s the tempo? Are there any key changes or complex passages to be mindful of? Don’t just jump in or you risk missing half your cues and failing miserably. If you take a minute to study it out before proceeding, you’re more likely to get it right. 45. Mix It Up a Little—Scales get boring if you play them the same way every day. Change the order, switch up the rhythm, play staccato then legato, etc. Learn a song that’s in a genre you’ve never tried before. Variety is the spice of life. 46. Breakdowns Can Lead to Breakthroughs—I’ve heard so many college music majors say that they majored in music because they loved it, but now they hate it. Years later, they’re professional musicians, they are amazing at their craft, and they love music again. Those breakdown moments where you feel like beating your head against a wall rather than keep doing what you’re doing? If you keep pushing on anyway, you’ll usually hit a breakthrough. 47. Let Go of Tension—Tension is bad. If your arms are stiff and your wrist is immobile while you’re playing piano, your music will sound tense. You could even injure yourself. Relax and learn to let go of tension! 48. Hard Work Leads to Success—Effort matters. Even those of “mediocre talent” can succeed with hard work. 49. There Are No Shortcuts—Shortcuts are rarely profitable. They usually save you time now, but they make things harder in the long run. 50. Life is Beautiful—Music is just one of many joys in life. There are so many beautiful things that can make your day just a little brighter. Look for the good and embrace it!